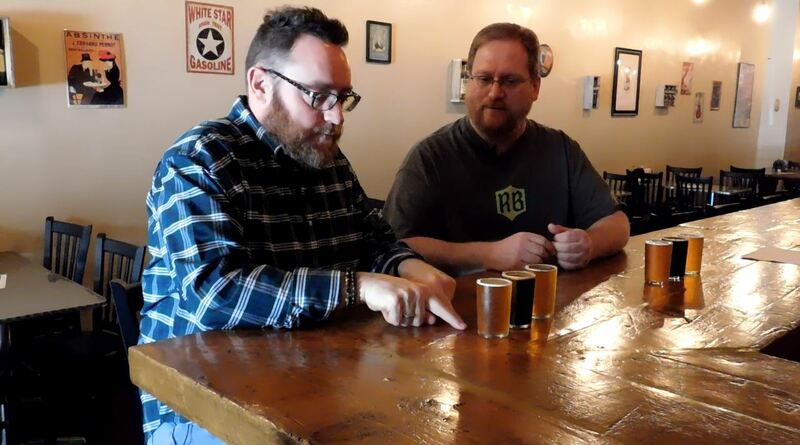 Mike and John Smith taste three Reclamation beers at the brewery’s pub in Butler. Butler has always had bars, even some good ones. But there is something different about a brew pub; it can inspire community and loyalty, and the beers themselves can become friends along with the regulars sitting next to you. John Smith, his son Ben and their friend Ben Duncan built Reclamation Brewing on Main Street in Butler with Irish pubs in mind; not just in a physical sense — although the 125-year-old planks in the floor and the re-purposed tin ceiling tiles on the face of the bar contribute to a definite Irish feel in the space, which had been a gift shop. In the best pubs they found in Ireland — the ones that dotted the countryside towns, not the ones built for tourists in Dublin — were the community. The pub has always been and always will be a place for the community to gather, make connections, share ideas and perspectives, discuss the world, and have a great time together. John and the Bens began brewing together years ago, as an easier alternative to the wine making they had dabbled with before. Some experimentation led to a few recipes that became regulars — a roasty milk stout, a slightly sweet pale ale and — of course — a dry Irish stout. 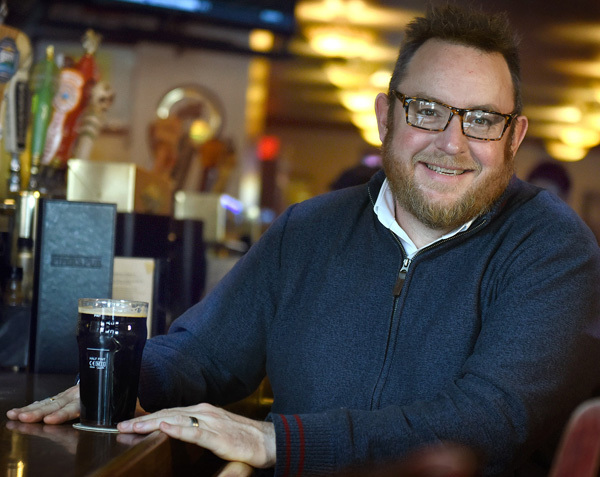 They’re all still regulars — Spurgeon’s, Promised Land and Egan’s, respectively — in Butler’s first brewpub, but they have regular company on the menu ranging from standards — Butler Brown, Everyman’s Red and a Belgian Wit called Wittenburg — to hot ginger pales and hefty limited-release barleywines and wee heavies. That’s enough variety to keep regulars happy … and keep them coming back for more.